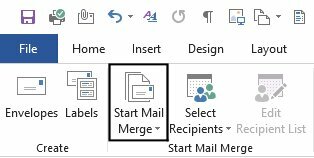 For the most part, I generally find people have heard of Mail Merging. 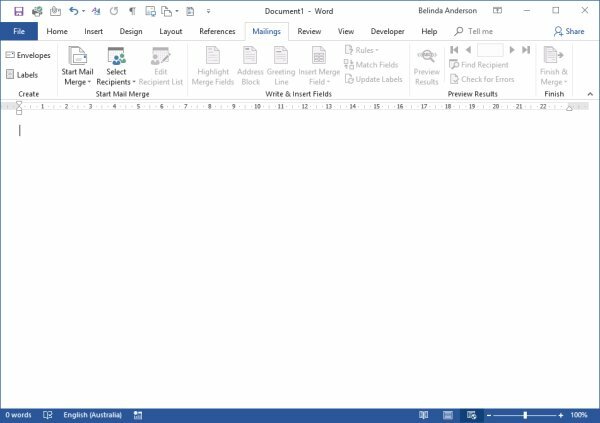 Microsoft Word provides the functionality to easily combine a list of contacts with a standard letter which can then be printed off at the click of a button saving time and quite often your sanity. Gone are the days of having to one by one change and personalise individual letters. 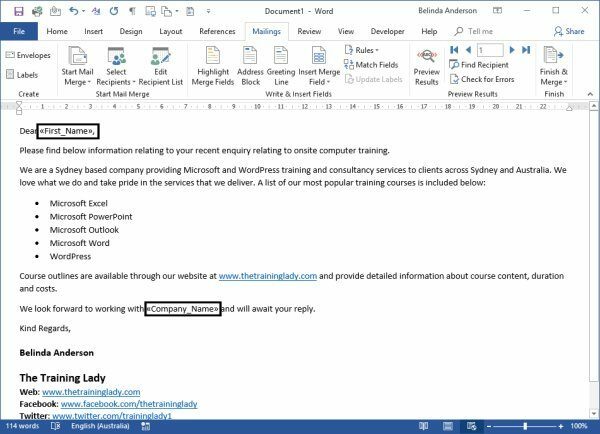 What many users don’t know is that you can also use the Mail Merge feature within Word to send out bulk email messages. 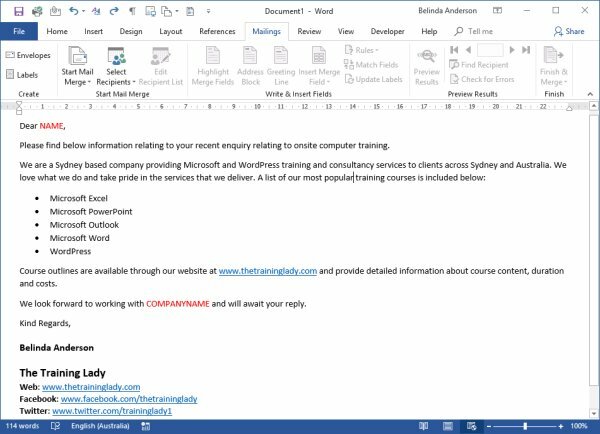 This feature still provides the flexibility to personalise each and every email message and it seamlessly integrates with Microsoft Outlook to make the process very simple. I do encounter people who find the idea of email merges a little daunting. A great idea if you want to test out this functionality first is to create a test recipient list containing just a few people such as yourself, your husband, or your team members etc and then test sending the email message to this smaller group before you go ahead and send out an email to a hundred, or couple hundred people. Once you feel confident with the process and are happy with how the email message looks when received, then you can send out your message to your real recipient list. 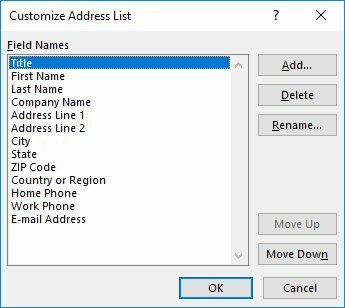 Let’s take a look at how you can create a mail merge to send out bulk email messages. The first step is to create the basic email message you wish to send out to recipients. This is all created within Microsoft Word. The mail merge process allows you to include as much personalised information as needed. From the example below, you can see I have included two unique pieces of information: Name and CompanyName. 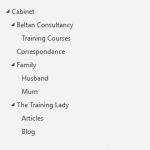 If you need to send an email out to a bulk list, you generally have that list stored or saved somewhere. 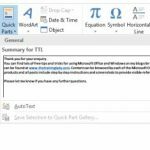 The recipient list may be in your Outlook contacts, in a database file, or saved in an Excel workbook. 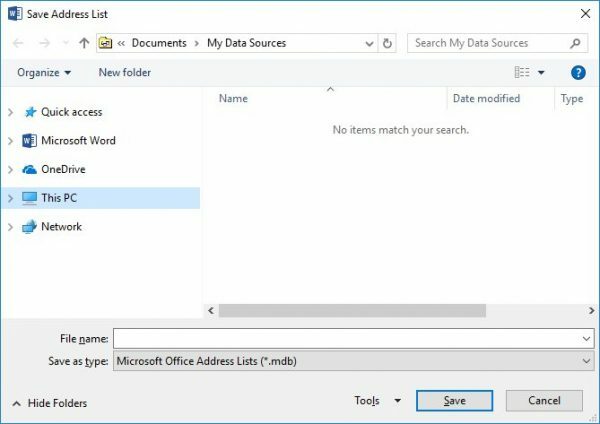 Microsoft Word can use any of these recipient list types. 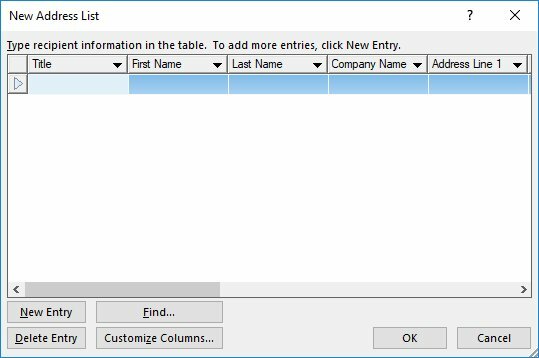 If you do not yet have a recipient list then you can create one from scratch within the Mail Merge wizard, OR, create one in a basic Excel workbook. 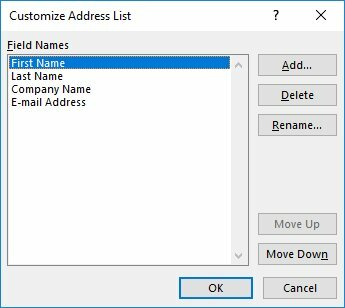 For this exercise, I will show you how to create a simple recipient list using the Mail Merge feature. Now that you have your email message and recipient list organised you are left with the final steps of completing your email mail merge. You will now see the field code has been inserted into the email message. It is important to note you cannot simply type in <<First_Name>>. The mail merge will now recognise this. Use the mouse to click on any of the field codes and you will see they are then highlighted in grey indicating they are a special field code, not just plain text. Lastly, you will need to save the email mail merge document. The bonus with this is that you can open the email merge document at any later date and use it again. Make whatever small changes you may need and off you go again without the need to start from scratch. 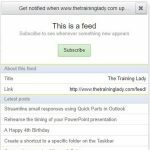 Your email mail merge document will maintain the link to the recipient list so every time you open the file that link is reestablished. 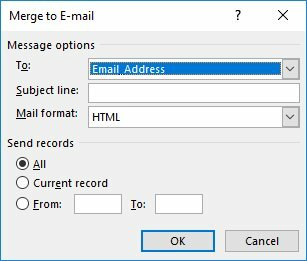 You have now completed the steps required to create an email mail merge. 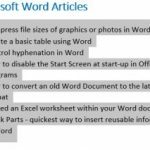 Be sure to check out my other articles relating to Microsoft Word.